Created for the alpinist, Rab's Infinity G is a specialist down jacket - lightweight, packable and exceptionally warm, it excels at high altitudes and low temperatures. In the mountains, every decision must be carefully weighed up and striking the balance between what you want and what you can carry is never easy. 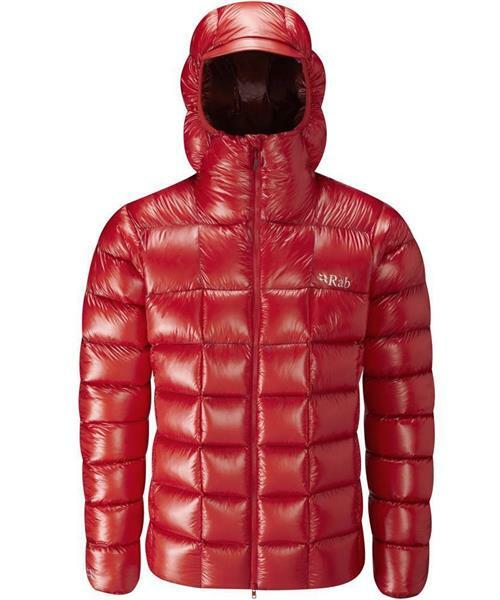 Combining the durable 7D Pertex Quantum outer fabric with 240g of the highest quality 850 fill power ethically sourced down, the Infinity G is the perfect choice for those looking to maximise warmth at minimal weight. Highlighting Rab's expertise in down and years of experience in the mountains, the Infinity G’s low weight and packability have been achieved by using the latest technology and materials, not from stripping back features. A testament to this is its adjustable helmet-compatible hood, two-way front zip and insulated zip baffle and chin guard.